The talented Wood Carver mr Jonas Als from Denmark is deeply inspired by the Scandinavian and especially the Swedish traditional wooden “slöjd”. 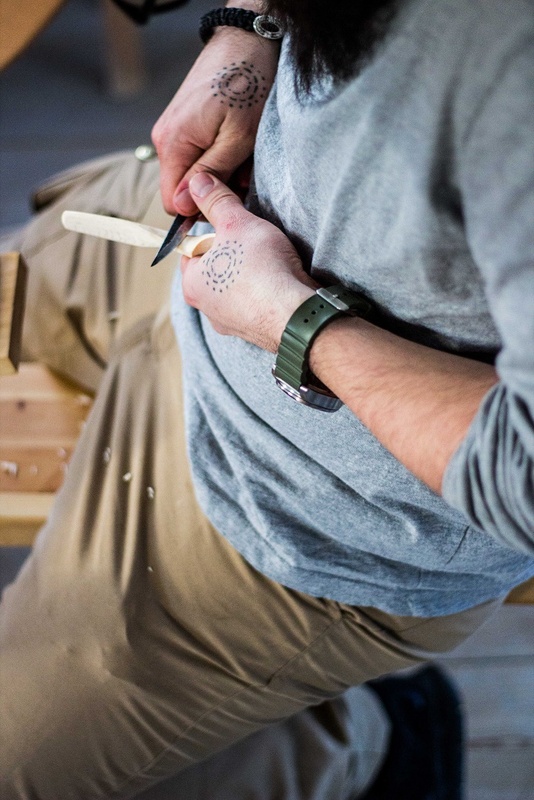 He loves to work with his hands and tools to create functional and aesthetic wooden products. He also loves to see people use the things that he creates for their everyday. Create is to feel alive. 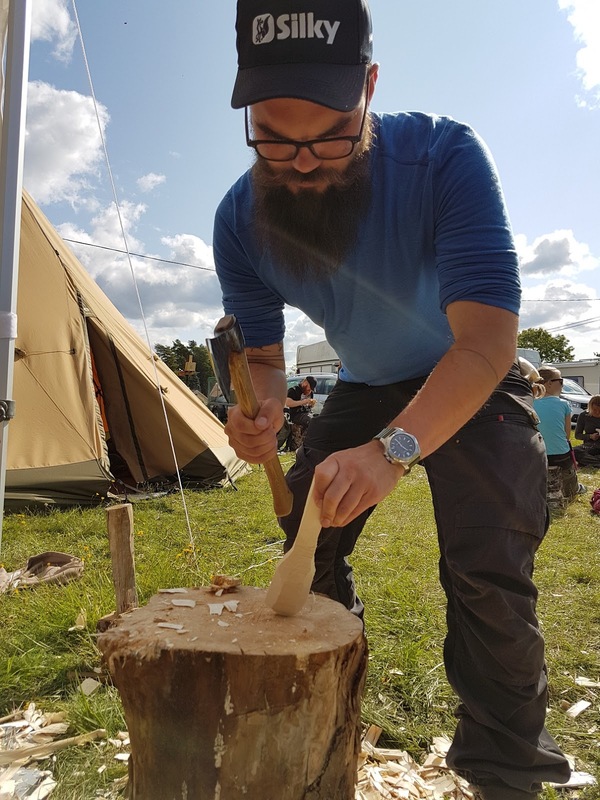 The knife, axe and saw are essential tools in Jonas Als' work and we are very proud to be able to offer you a Masterclass in spoon carving managed by Jonas Als during the Bushcraftfestivalen 2018. He will learn the masterclass participants different techniques and great tips on how to improve their carving skills. The focus will be creating an eating spoon for the more experienced carvers, and a cooking spoon for beginners. 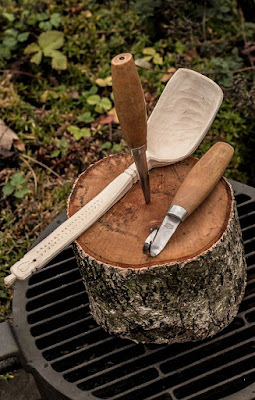 You will use slöjd knives and spoon knives, axes and saws. It's possible to use shave horses and draw knives too. 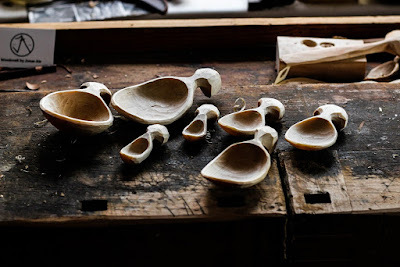 In the recent years Jonas have made eating spoons and other products for gourmet and Michelin restaurants around in Europe and will use his teaching and carving skills to help you get a great introduction to spoon carving. The masterclass concept means that the 5-hour workshops held by Jonas Als, one on Saturday and one on Sunday, will have limited seats (maximum 8 participants per session) and require you to book and pay your spot (400 SEK) inside the festival's information tent upon your arrival at the festival (pre-booking is not possible). You will also be able to see the beautiful products produced by Jonas Als inside his booth at the festival. 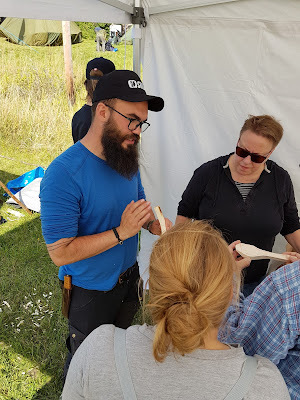 Another service Jonas Als will offer you inside the booth of Woodcraft by Jonas Als is tool sharpening with his Tormek sharpening tool, Japanese Water stones and wet n’ dry paper. 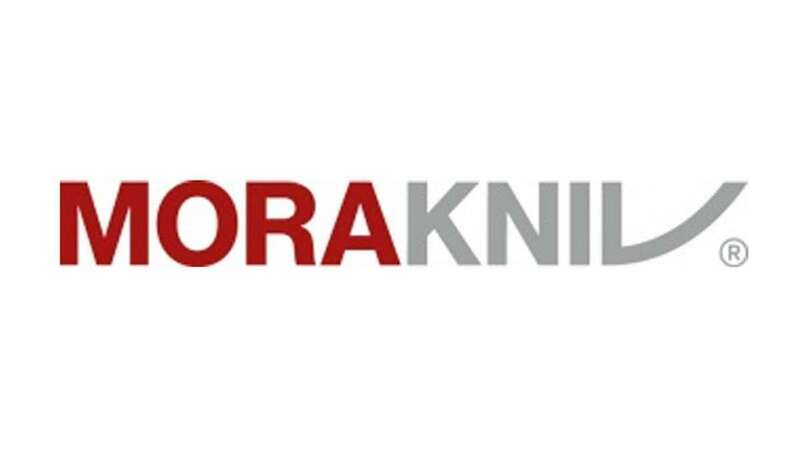 You can get your axes, gouges, knives (sharpening on flat stones takes longer), and spoon knives sharpened. So take the opportunity to get your tools sharpened by the Carving Master and Morakniv Ambassador Jonas Als. Another great news is also that Jonas Als is sharing booth together with ms Julia Kalthoff of Kalthoff Axes. 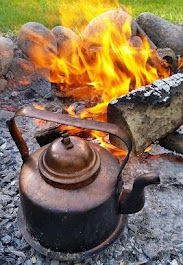 So take the opportunity to meet Julia and take a look at her fantastic axes. 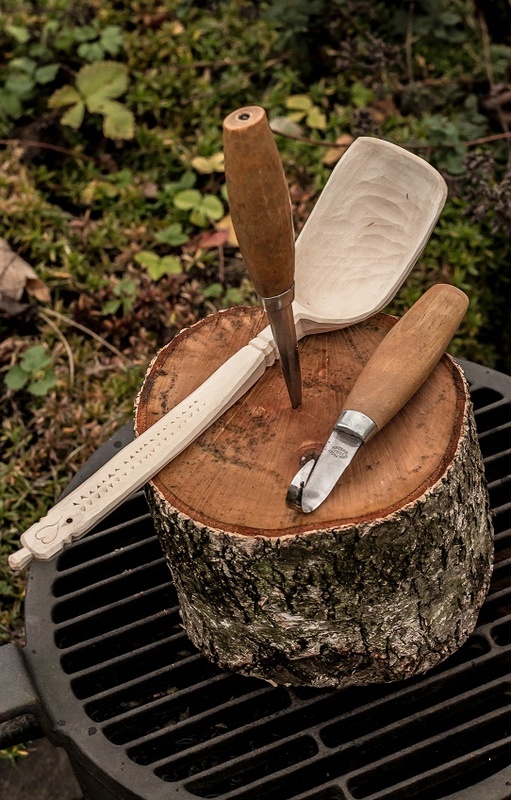 Please also visit Woodcraft by Jonas Als’ website by clicking HERE. Book your tickets to the Bushcraftfestivalen 2018 by clicking HERE. And book your spot in Jonas Als' masterclass, inside the festival's information tent, when arriving on site.